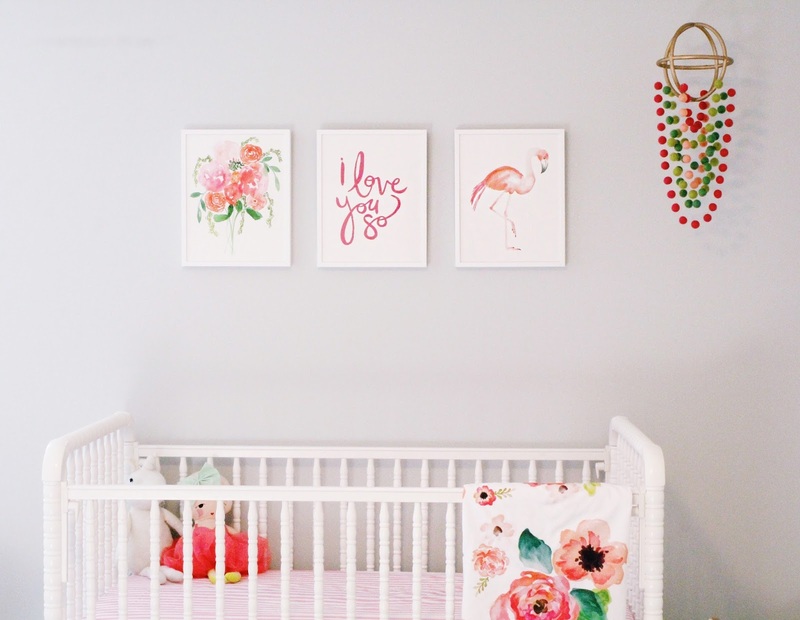 This year for Christmas we decided to gift baby girl with some beautiful artwork for her nursery! And I am obsessed with how it turned out! Her room is still a work in progress but I’m patting myself on the back for having this much done and still 11 weeks until she joins us! 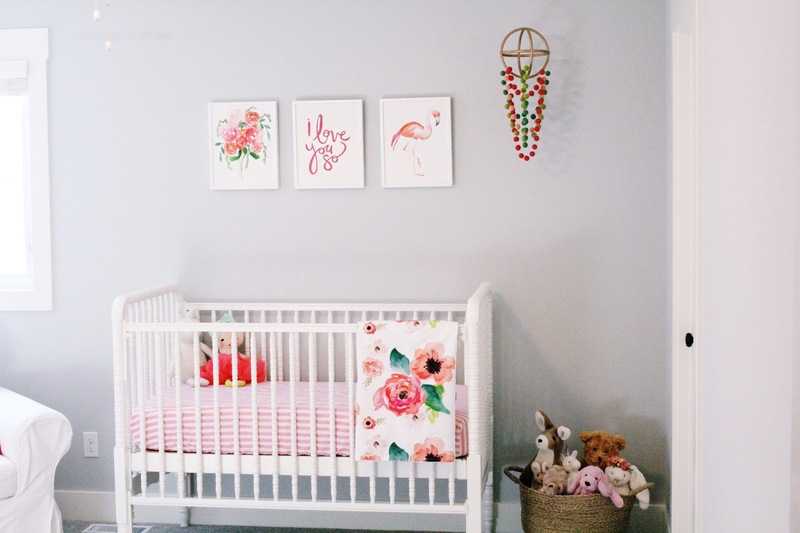 It all started with the Floral Bright print on the left from Minted. 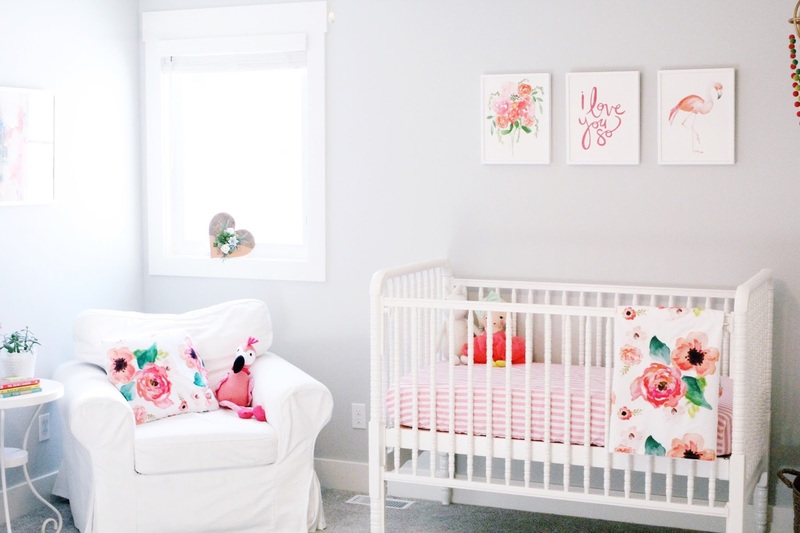 I fell in love instantly and knew it would be the perfect color scheme for her nursery…so everything was built around it. And I LOVE it. 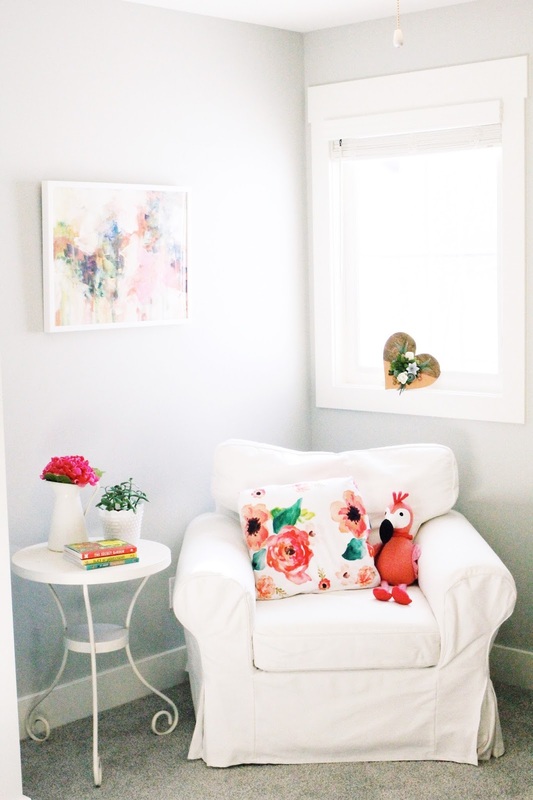 I just love the colors….everything is so bright and cheerful….there’s whimsy yet it doesn’t scream baby nursery. I’m sure she’ll have this artwork for a very long time! And I’m dying over her mobile! Courtney from Boogie And Lu made it for me and it’s perfect! Stay tuned for a fun giveaway coming soon! 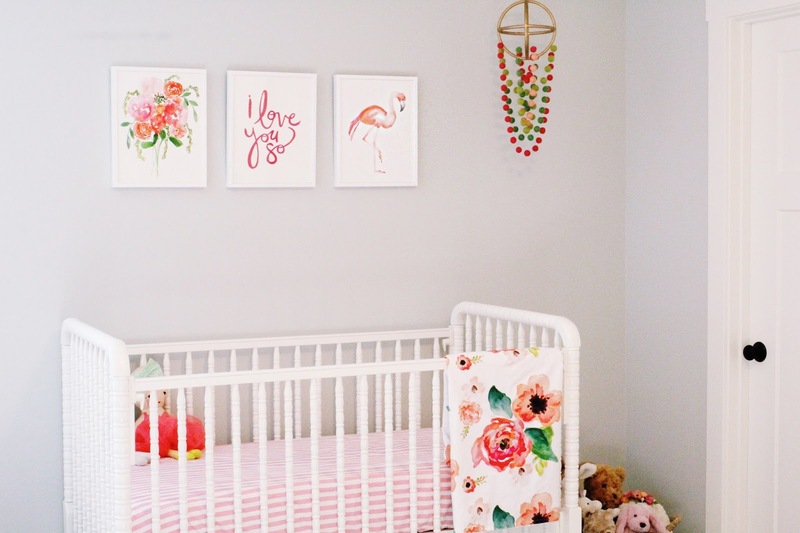 The other artwork in her room is also from Minted! It’s called Carnation Spray and is so gorgeous in person. Minted seriously made shopping SO easy! 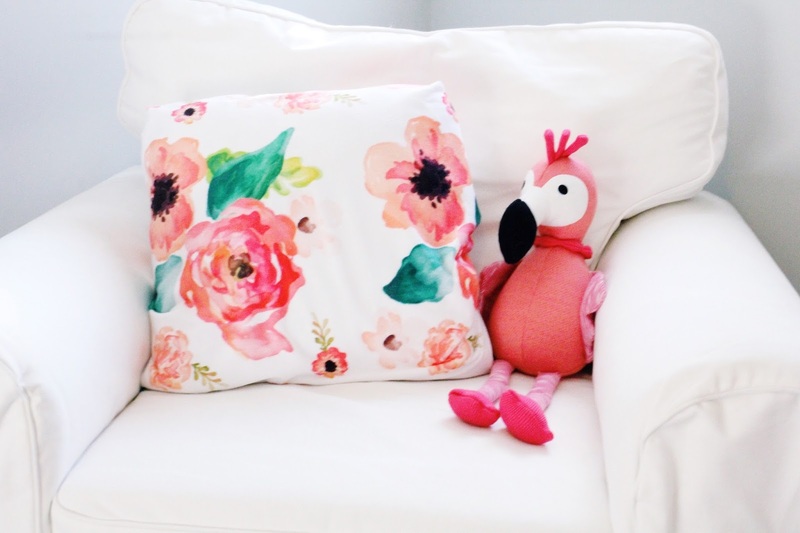 Once I found the floral print I started searching by color…and everything just came together. I had all of the pieces framed too, and it was the BEST decision ever. I’m never turning back! Everything arrived in perfect condition and ready to hang. It seriously saved me SO much time. And all of the pieces are super light weight, which I love. It made hanging everything a breeze. 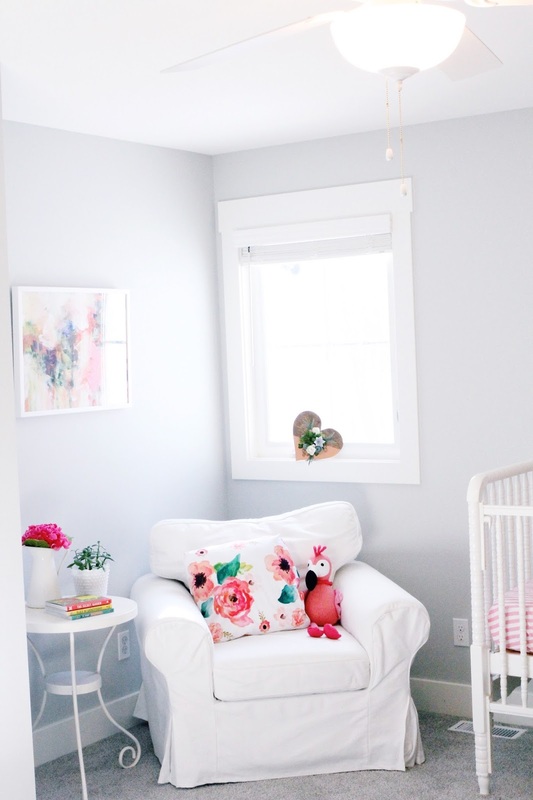 I know baby girl is going to LOVE her nursery. I seriously can’t wait…it all feels so real now! Now if only we could decide on her name…. If you’re wondering why I’m only showing you one part of the room it’s because the rest isn’t finished. Her room is actually really big, and has a huge walk in closet! We still need to organize the closet (my wedding dress and several other things like birthday and Christmas presents are hanging out in there now), put together her dresser, get a hamper, and hang some more art. 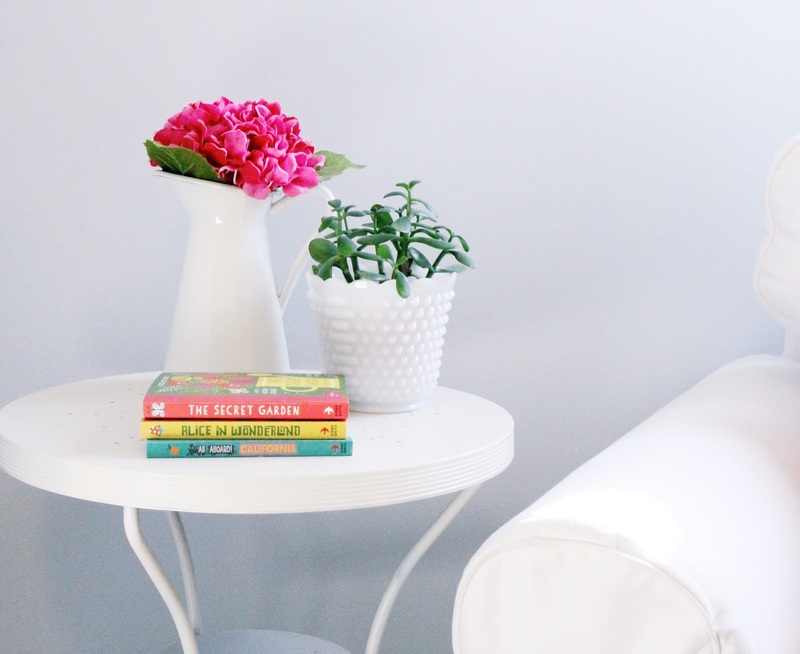 I have this shelf coming from Minted soon, so I’ll share the final reveal once it’s all done! Here’s hoping I don’t loose my steam before then. 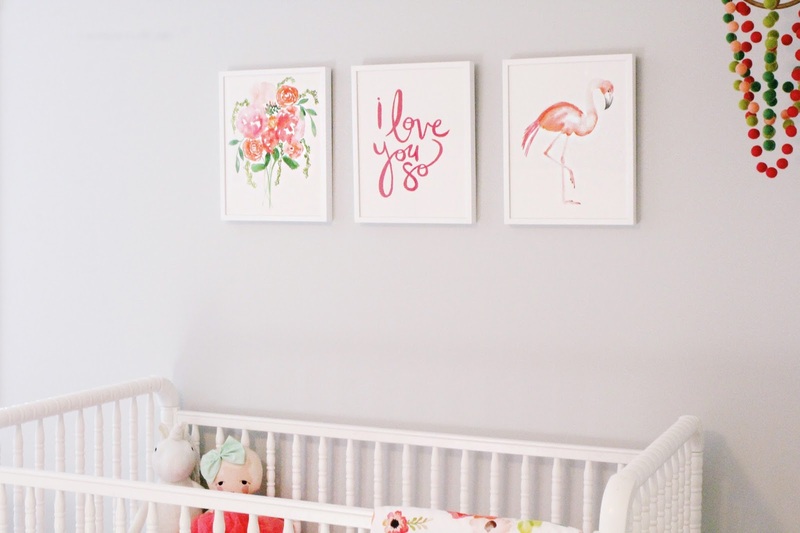 Minted has curated a fresh and unique collection of evolving artwork that you won’t find anywhere else. I couldn’t be happier with how everything turned out! 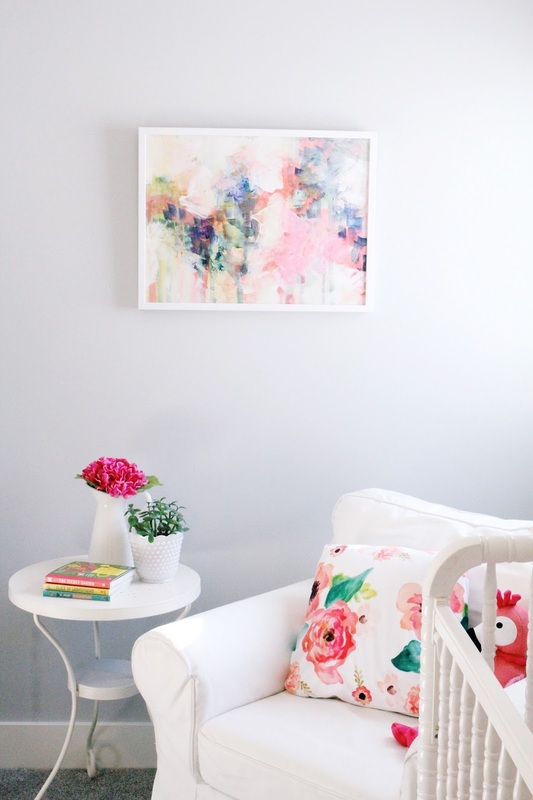 Be sure to check out Minted for the best artwork selection. They have so many fun and beautiful pieces that would make the perfect gift for someone special in your life! 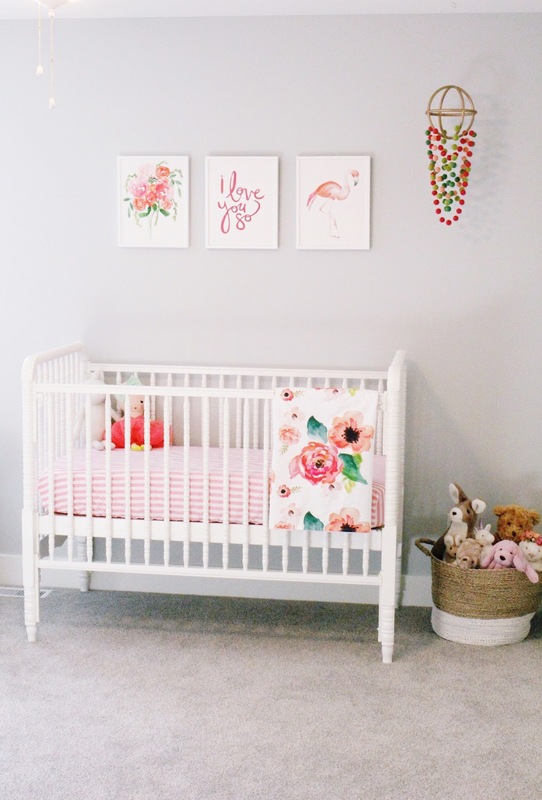 Thanks to my friends at Minted for making this nursery and blog post possible! 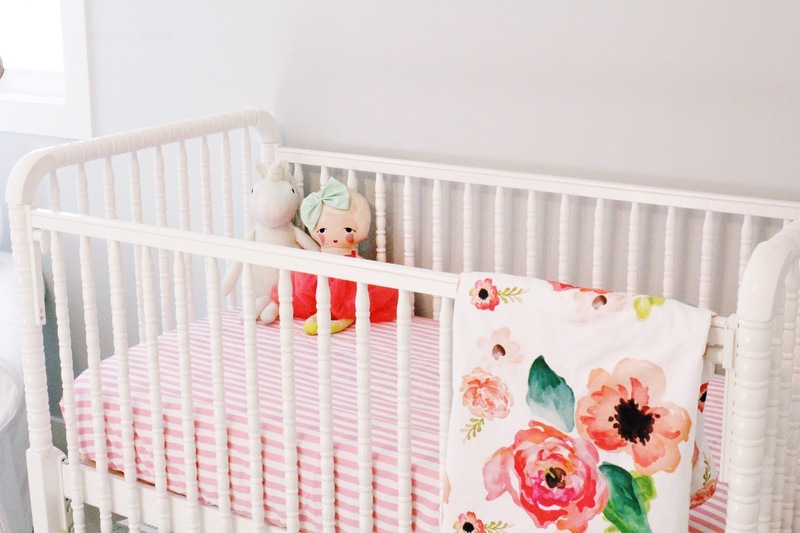 Jenny Lind Crib: Craigslist find! Wow!! Her room looks gorgeous! I love the colors so much! Great job momma! 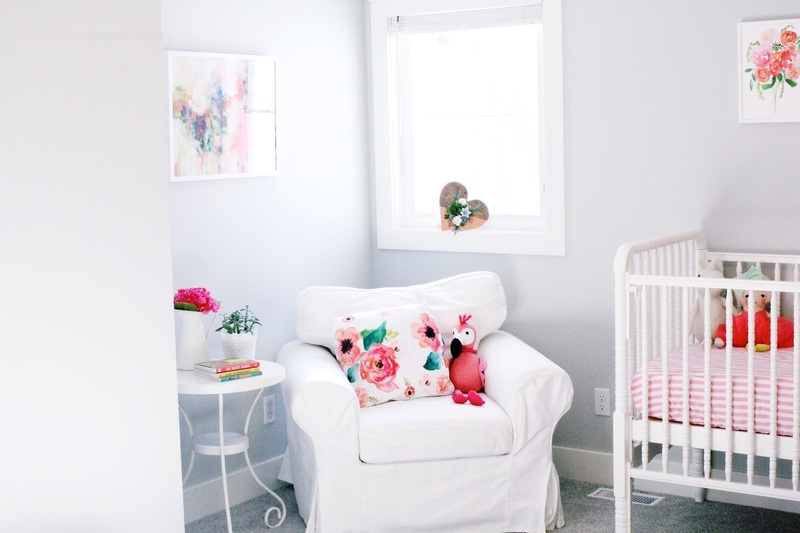 Her room is precious! Love the colors! I adore these!! They're so cute and I love the room so far! I know I already said this on instagram, but I am obsessed with those colors!